I'm taking the Wanderlust 2017 online class. It's the first time I've ever paid for online classes, and this will continue all year long. 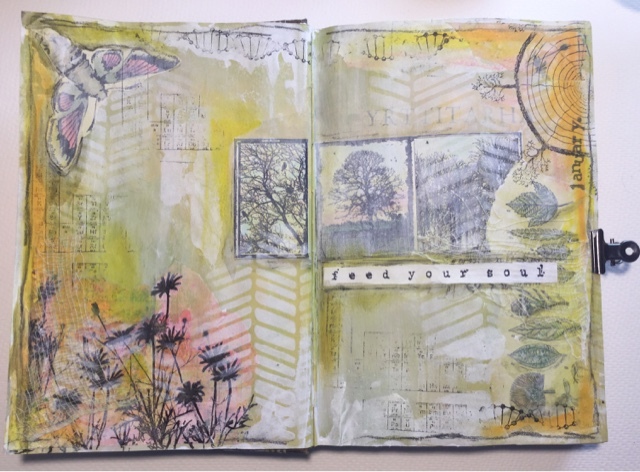 I decided to alter an old book for the classes, and I now have a few spreads done. Here's the first one. I have decided to try and do a bit of crafting EVERY DAY. Hope it works out! I thinned out the first third of the book, cutting out the middle two of every four pages and gluing the remaining pages together. I'll continue thinning it as I work forward, if I have a bulk of pages left at the end of the year, I'll make a niche... but if I end up filling the book, that's fine too :) here you can see the thinned part. The darker strip at the bottom of the page is were the leftovers of the cut out pages are glued in between two whole pages. 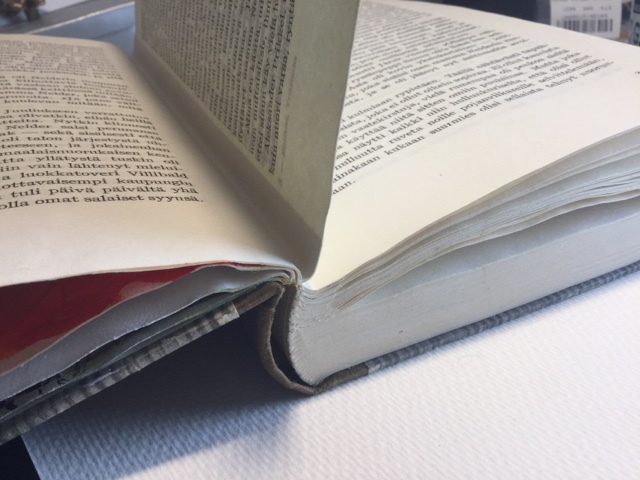 I used a moist glue to begin with and the pages warped quite a bit... so I changed to a stick glue (of course burnished thoroughly!) To be seen if it has an effect on what I can do with the spreads!